(Phys.org) —This past summer it was widely reported that Google Chrome had a web security flaw—all of the passwords that were saved for various web sites could be displayed by anyone gaining physical access to a computer, by typing in a simple command. That prompted a lot of people to criticize Google for its lackadaisical approach to web security for its user community. Google defended itself by noting that if someone gained physical access to someone else's computer and were able to use their Chrome browser, they would be able to access all of the web sites that the original owner had saved anyway (because the login and passwords would be filled in automatically), regardless of whether they could see the passwords, which were stored on the local hard drive in plain text. 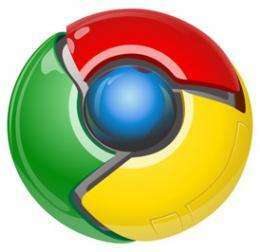 Now it appears that Google has had a change of heart, at least as it applies to Mac users—Chromium developer François Beaufort has announced on his Google+ page that Google has implemented a "fix" for the problem for users of the Chromium Build for Mac. Now, if a sneaky person gains physical access to someone else's computer and tries to get the browser to show all of the saved passwords, they will be prompted to first type in the Mac OS password. Of course, that still won't stop them from visiting and logging in automatically (because the passwords have still been saved after all) to whatever web sites they find in the list of favorites, their history, etc. It's not clear why Google had a change of heart, or if the change will be made to Google Chrome (Windows) or if it will, how long that might take. Last summer, company reps said making such a change to Chrome would give users a false sense of security. They suggested that users lock their computer when away from the keyboard to give themselves a true security system. It's clear that forcing users to type in a system password will prevent miscreants from quickly printing out a list of logins/passwords—whether it will also lull them into a false of security remains to be seen—at least for Mac users. Logging into a site is one thing, getting the password to log in from any pc is another. This is what happens when you get so big and go from technology development to groogling the world with spam. check out lightbeam - google sits at the centre of just about every interaction you have with the "web"
The password has to be available in plaintext anyway, at some point, or the browser won't be able to auto-fill it.